US Energy Secretary Rick Perry is arriving here on Monday to hold bilateral talks with his Indian counterpart Dharmendra Pradhan on enhancing energy cooperation. His visit comes on the heels of the conclusion of the 16th International Energy Forum (IEF) ministerial here on Thursday that returned to India after a gap of 22 years and which was attended by the US Under Secretary of Energy. 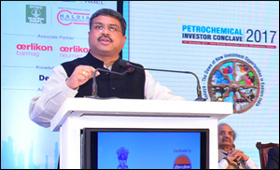 According to a US Department of Energy statement issued in Washington, "the trip will conclude with the inaugural Strategic Energy Partnership meeting co-chaired by Secretary Perry and India's Minister of Petroleum and Natural Gas Dharmendra Pradhan." In the backdrop of the shale oil and gas "revolution" in the US, the Indo-American energy cooperation has been growing in the last few years. The first liquefied natural gas (LNG) shipment from the US, from the state of Texas, reached India last month to provide a thrust to the country's move towards a gas economy. 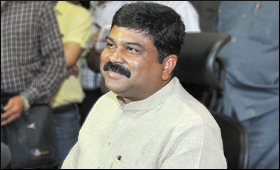 Earlier, the first oil shipment from America had also landed in Odisha. State-run gas utility GAIL India has signed a long-term contract to buy 3.5 million tonne of LNG per year for 20 years from Cheniere Energy of the US and has also booked capacity for another 2.3 million tonne at Dominion Energy's Cove Point liquefaction plant. In this connection, The US-India Business Council (USIBC) has lauded the launch of the Strategic Energy Partnership. "Energy is an increasingly central pillar of the US-India commercial and strategic relationship. Opportunities exist not only in oil and gas, but in renewable energy, civil nuclear, infrastructure, efficiency, and technologies such as energy storage and smart grids," a USIBC statement said here. "USIBC member companies participating in the delegation during Secretary Perry's visit to India include Westinghouse and ExxonMobil," it added.